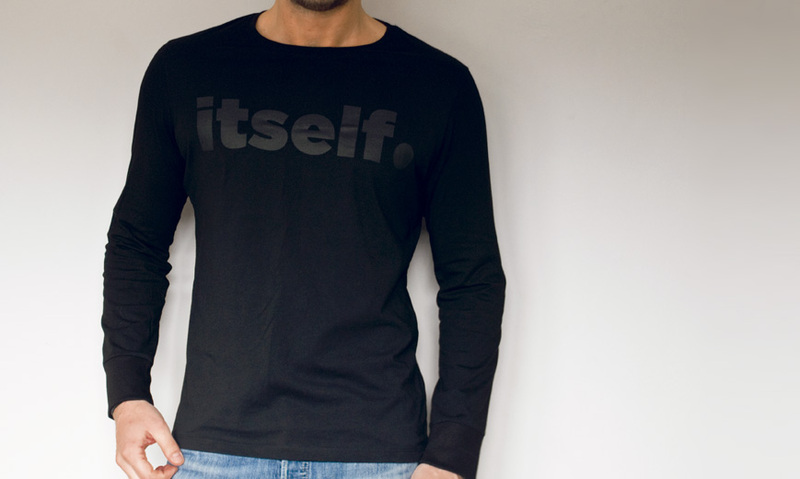 Black itself | Siyah Erkek Uzun kollu t-shirt | itself. Black itself logo applied with pigment printing on itself black long sleeve tees. Enzyme washed for extra softness. Perfect fit. Crew neck collar. Ribbed long sleeve cuffs.